When the Harvey Weinstein news first broke in October 2017, actress Salma Hayek was reluctant to join the movement with her own story. But two months after the watershed exposé, Hayek wrote a devastating, detailed account of the relentless sexual harassment she endured from Weinstein while working on the 2002 film Frida. 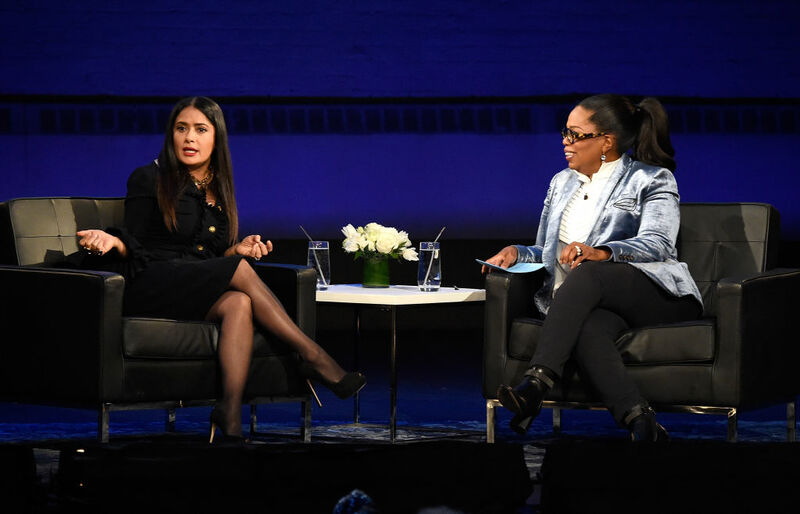 On February 7th, Hayek revealed why it took her months to find her voice in the Weinstein conversation to Oprah Winfrey during a live taping of her podcast SuperSoul Conversations. However, once she realized that it wasn’t about chiming in, but about furthering a movement, she decided to share her story. “When we come together and unite with each other, it’s not about drama. It’s not about pain. It’s about something that can move powerfully and make change happen,” added the actress. "Sometimes we underestimate our efforts — everybody’s efforts — and the power it has to change. The only reason that this is working right now is not only because women spoke out. It’s also because everybody listened." While we don’t know if the #MeToo movement has decreased the number of instances of assault or harassment, Hayek and Winfrey wrapped up their talk with the affirmation that we shouldn’t put all our energy in the results of a movement, but embrace the fact that women stood together and created something powerful to begin with. We applaud Hayek for speaking out. Let this serve as a reminder that although the voice in your head may say that your story doesn’t matter, it does.